A touch of poetry. That is what the CANVAS bench is. Inspired by white painting veils, waiting to be colored. The picture frame is like a muscle, strung tightly enough so that it becomes unbreakable. 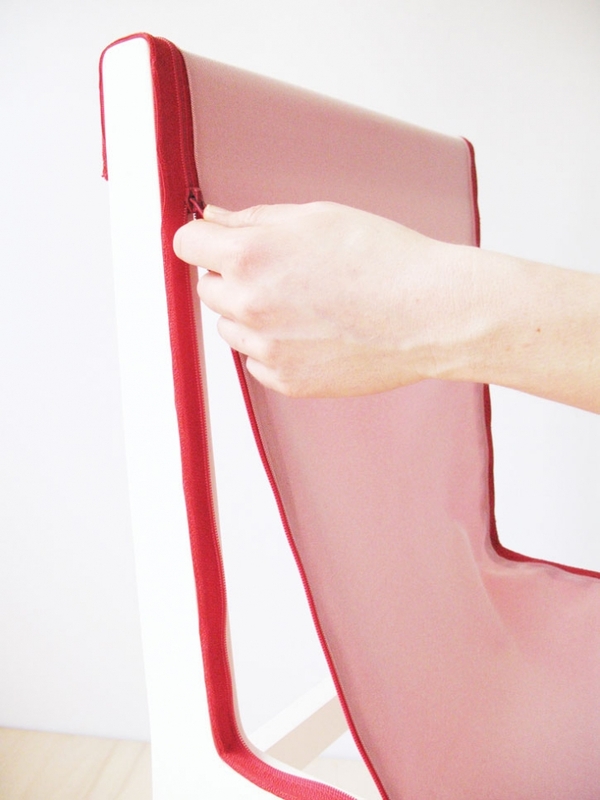 The seat as well as the back of the chair are made of the same principle: a mounted, white canvas. The back is mounted on a frame, the seat is strengthened on a board. 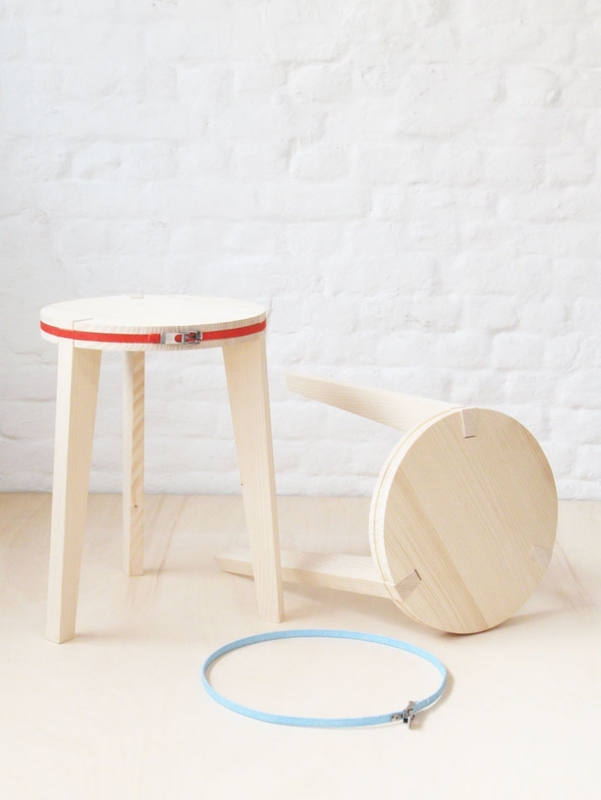 The support of the chair is strengthened in the corners. 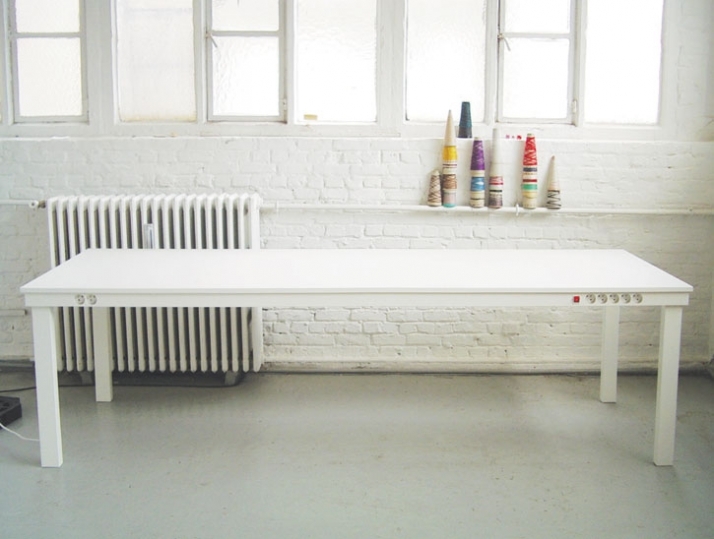 It is a strong but ultra light bench referring to frames without stringing. 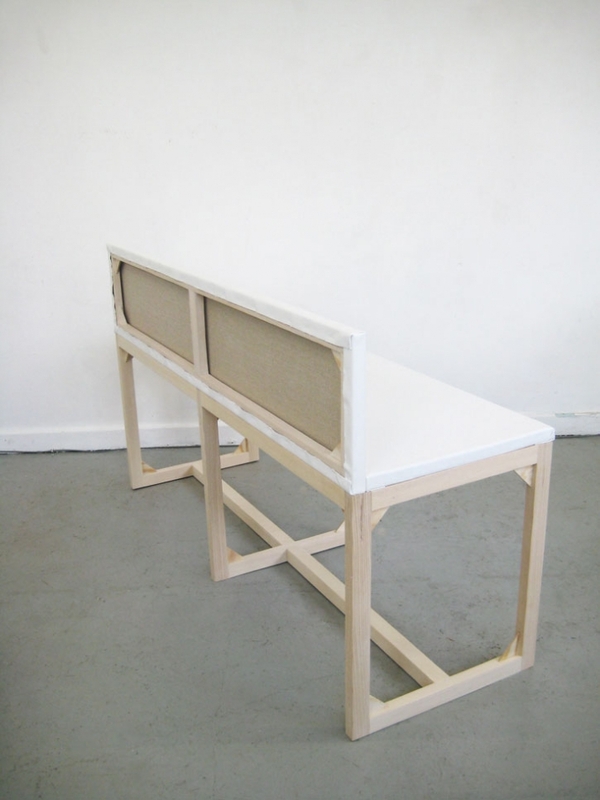 The CANVAS bench belongs in a silent but inspiring atmosphere. The E.T. is the perfect combination of simple and useful characteristics in one product. 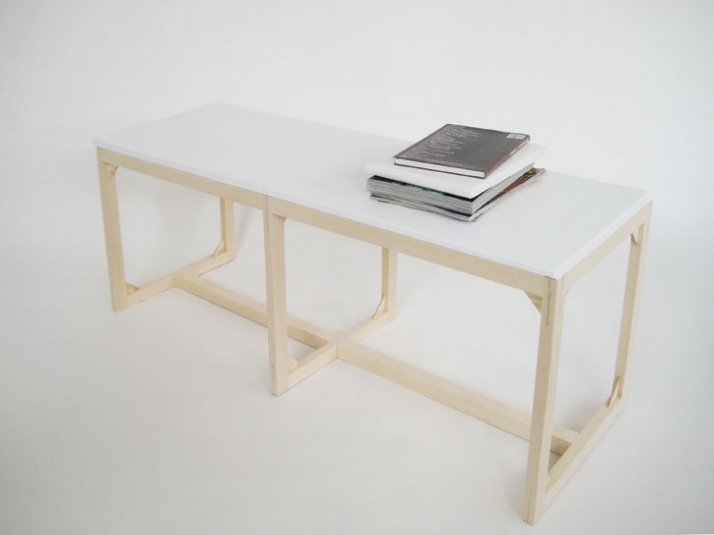 This oversized working desk has integrated sockets underneath the tabletop, visible and practical in use. 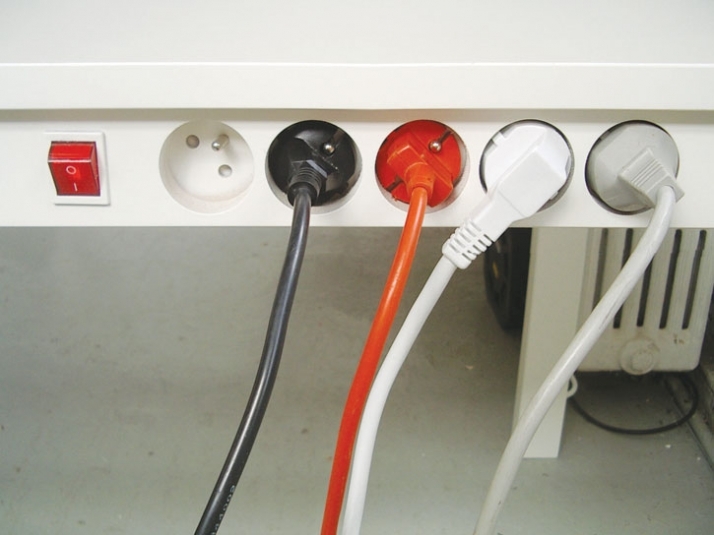 With so many electronic items sucking up power at our desks, surge protectors and power strips are a necessity to anyone and everyone these days. E.T. offers you a huge working area that can be used for multiple tasks simultaneously. 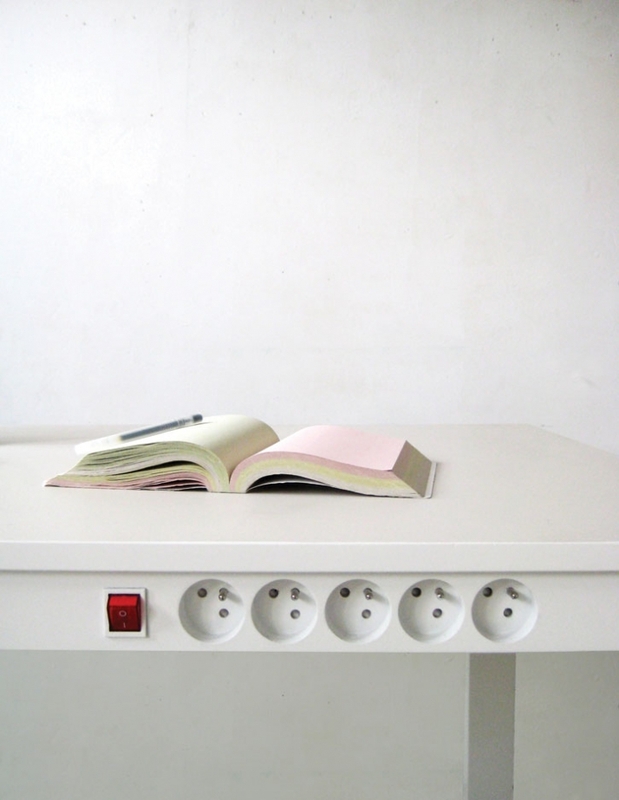 Plug in the table and at the same time your computer, printer, mobile-charger or everything else that is on it and needed for work. It keeps you all time ready with your gadgets fully charged. Light as air and thin as an envelope. This laptop sleeve acts like an unbreakable and shock-resistant house. Most of the computer bags are made of neoprene, protecting but not really preventing its content from breaking. 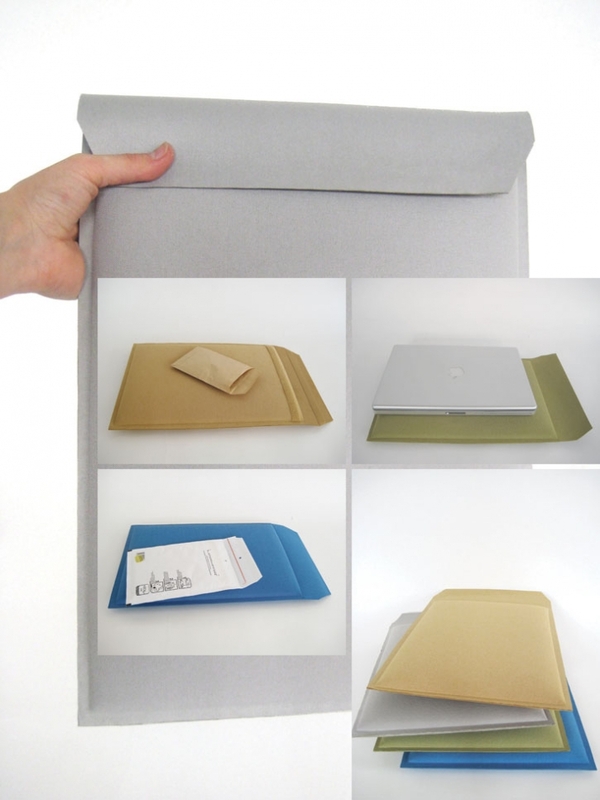 The foam used in the ENVELOPE has a high density, comparable to the same material used in the professional packaging industry. The ultra shock absorbing foam is wrapped up in textile on both sides. The sleeve is closed with velcro. 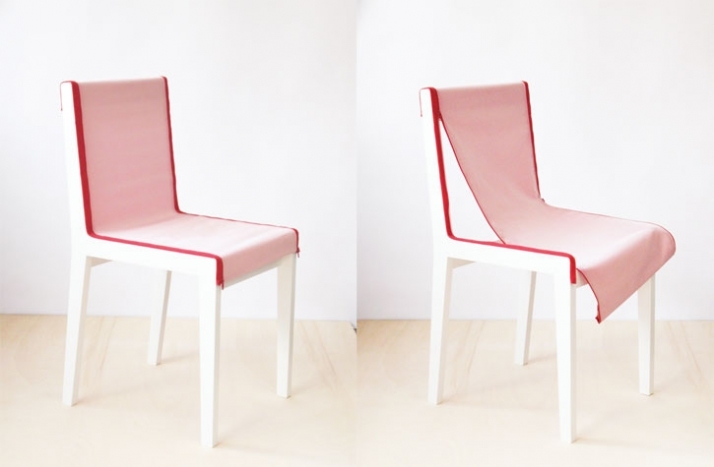 LENGTH A chair formed by textiles. 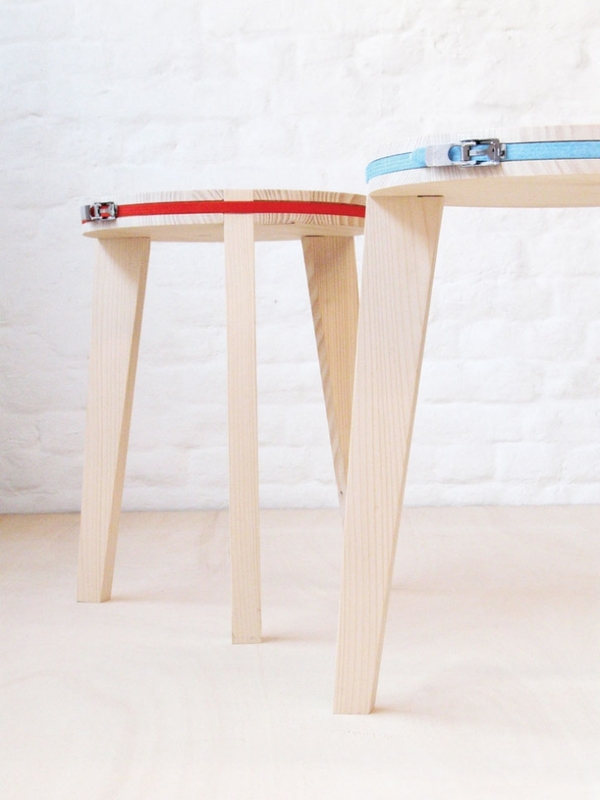 STRAP STOOL A wooden puzzle of legs and seat kept together with a colored strap. The latest element acts not only as the finishing touch, but also as the only construction element of this wooden kit. 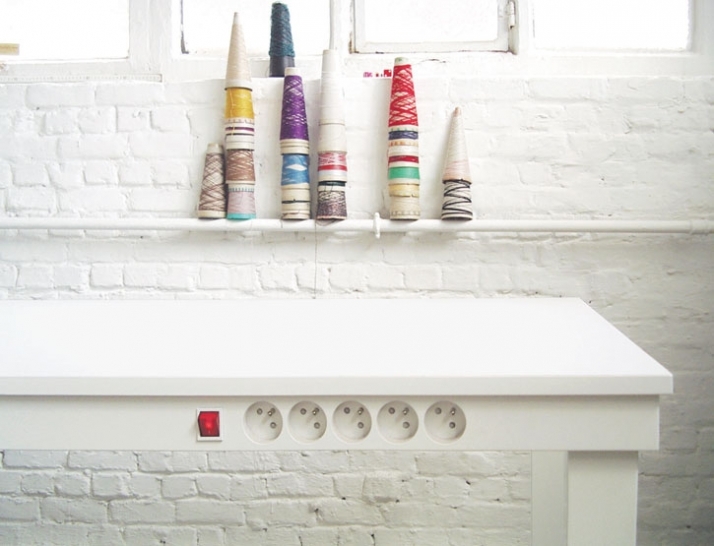 It is necessary for keeping the taboret together. 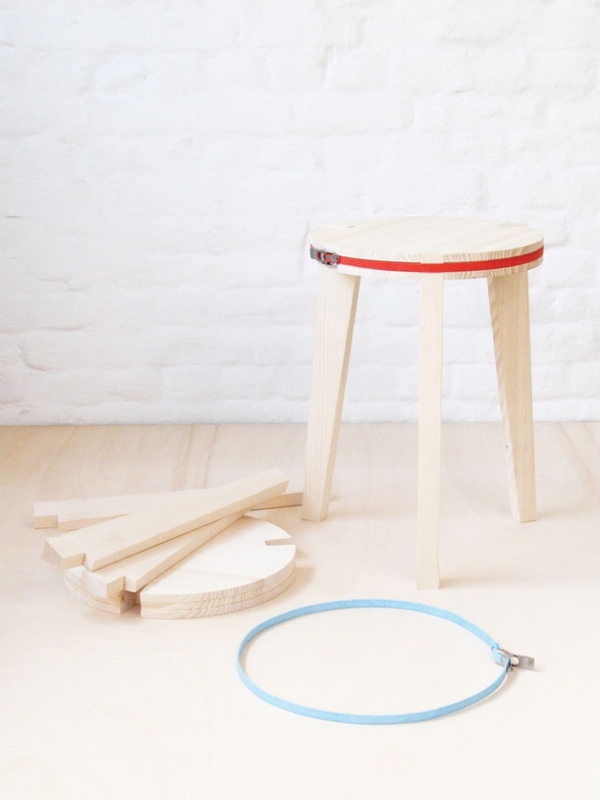 This strap STOOL is inspired by a collection of loose elements, placed together at random to form another, temporary object. Strapping them together not only strengthens the structure, it is also a flexible solution breaking it up again and moving it easily. With a simple element as a textile strap, individual elements stick together. The only thing required is some creativity, perception and strength.